I have been trying out the blinc Box for the past couple of weeks and I couldn't wait to share it with you. 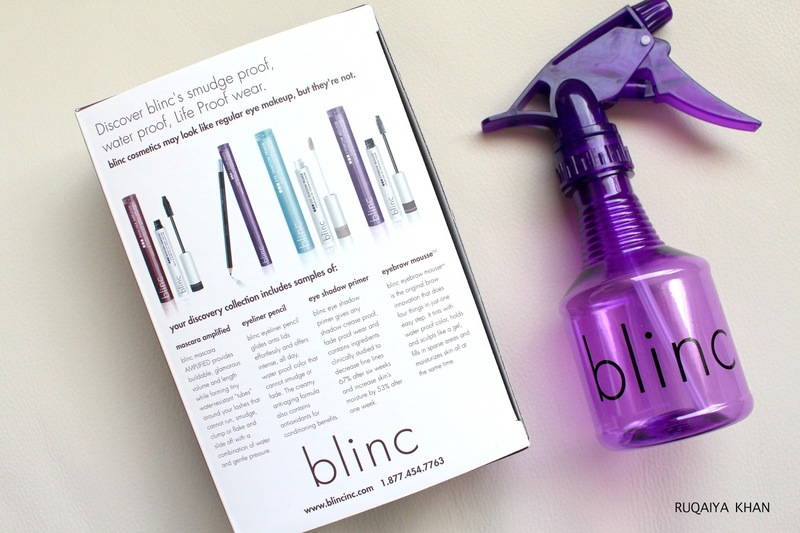 It features four water proof, smudge proof and life proof products! They are for real. 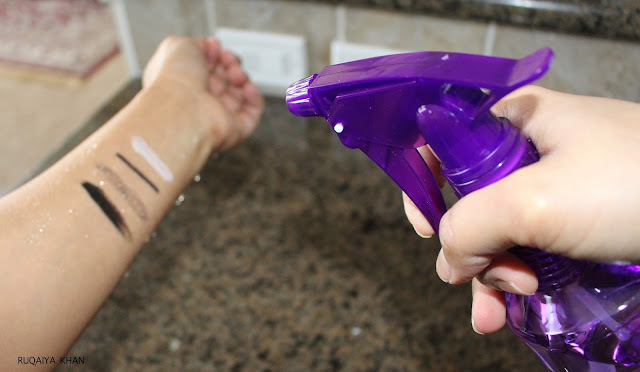 I tested them out with the spray bottle and also in the shower and the pool. The results were quite spectacular. However, I do have my favorites and not so favorite products in this box. So without further ado, let's move on to the pictures and my review. 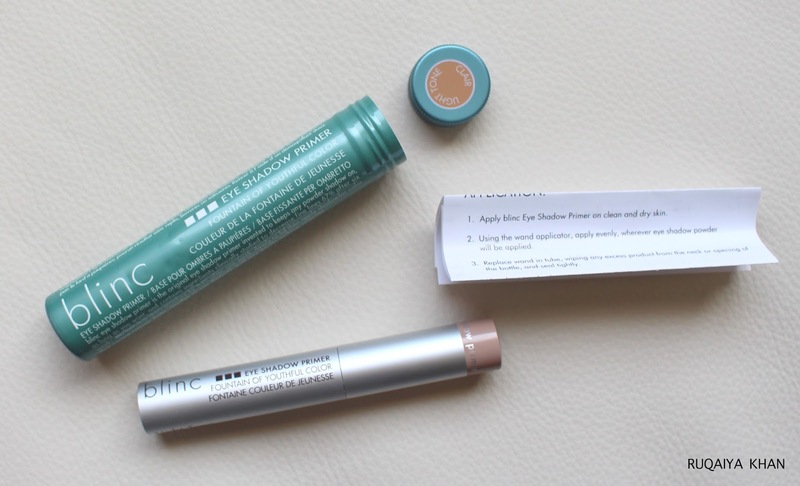 This primer has a really nice consistency and I love eye primers that come with a doe foot applicator. I have normal lids and had no issues working with this. It spreads nicely and give full coverage by concealing any redness or fine lines. It comes in two shades: Light Tone and Flesh tone. 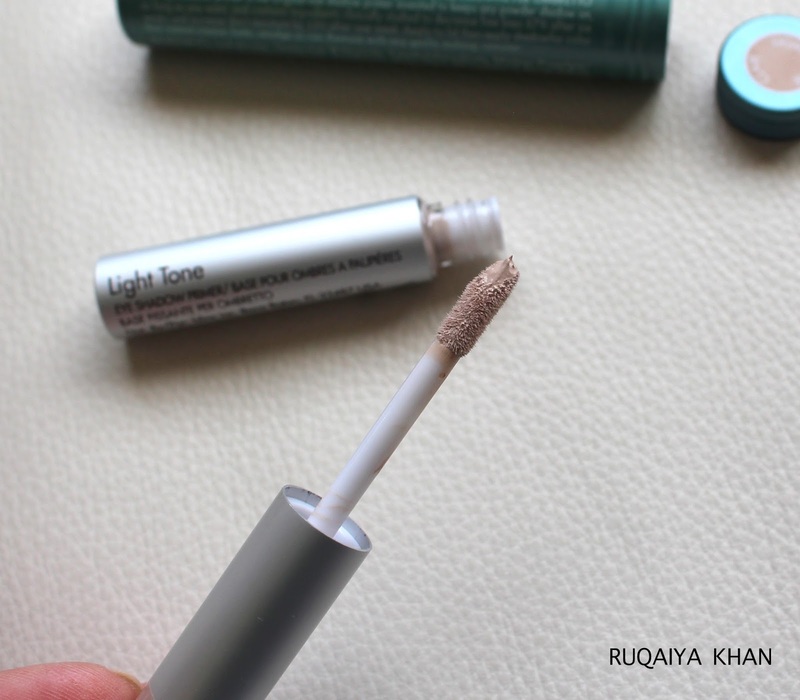 Light Tone looks white on my lids, even though it has neutral undertone to it. It feels smooth on lids and packs up eyeshadows very well. I loved doing my eyeshadow on this. The only problem is this shade is lighter than my skin tone, so if the primer is on areas not covered by the eyeshadow, it shows up a lot. I usually have this issue on the inner corner of my eye. Other than than it makes my eyeshadow last all day and I am totally packing this up for my summer holidays when I will be sweating a lot. Its very easy to remove as well. I just use a regular makeup remover and it comes off completely. 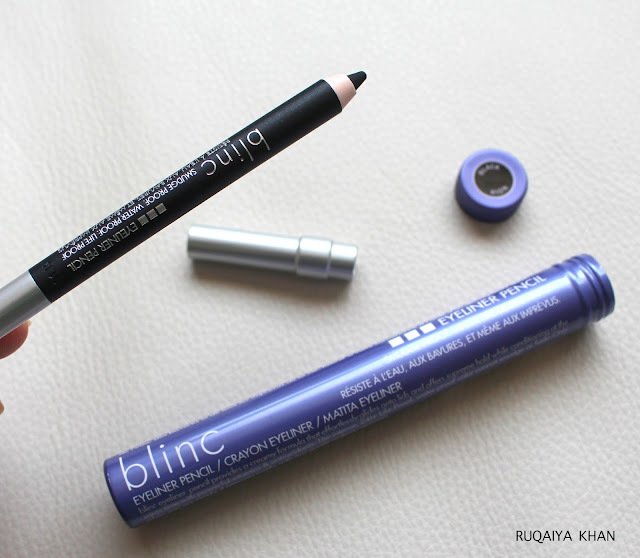 This is a really pigmented black eyeliner pencil and the travel size makes it perfect for fitting in the makeup bag for travel. It's waterproof and smudgeproof. I felt that it held up really well throughout the day. The formula is a bit of a let down as I am used to using eye pencils that are softer in texture. I had to repeat the passes on my lashline to get a full opacity. It does allow me some time to smudge it and then it sets. 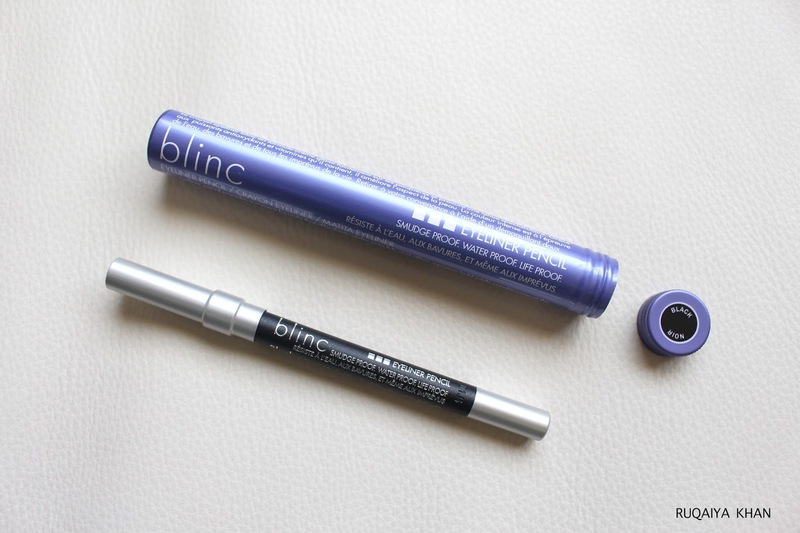 I used it on my waterline and loved it. It removes with any eye makeup remover and washes off completely with my regular face wash. So no more panda eyes in the morning. It's probably one of the best waterproof eyeliner I have, just wished it was slightly softer so I could transfer the product on the lids faster without repeating strokes. Again, this shade is definitely not my brow color and my brows are pretty full, I never fill them in but I do use a brow gel to keep the brows in place. This is a fantastic option which literally lasts all day. 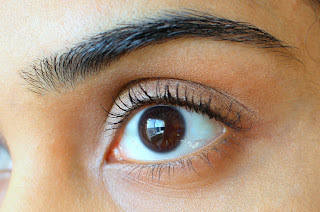 It takes a bit longer to completely dry on my fuller brows. Once it dries, it stay on forever and comes off easily. The wand is a good size for me and I like the traditional brush, it works great on brows. Since this is tinted, it can be used to fill in brows and also hold the hair in place. It comes in 9 shades including 'Clear' which I am totally getting from Sephora. 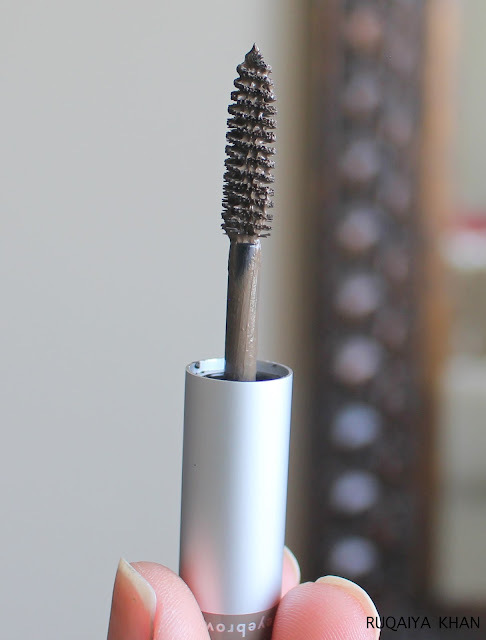 This is a great everyday mascara. I love this formula. It separates lashes, lengthens and curls and it's waterproof but removing this is so easy. I always struggle removing my waterproof mascara and always break a lash or two. Thankfully there are a ton of great waterproof makeup removers, but this beats them all. I can actually wash this mascara off with water and it will be gone! 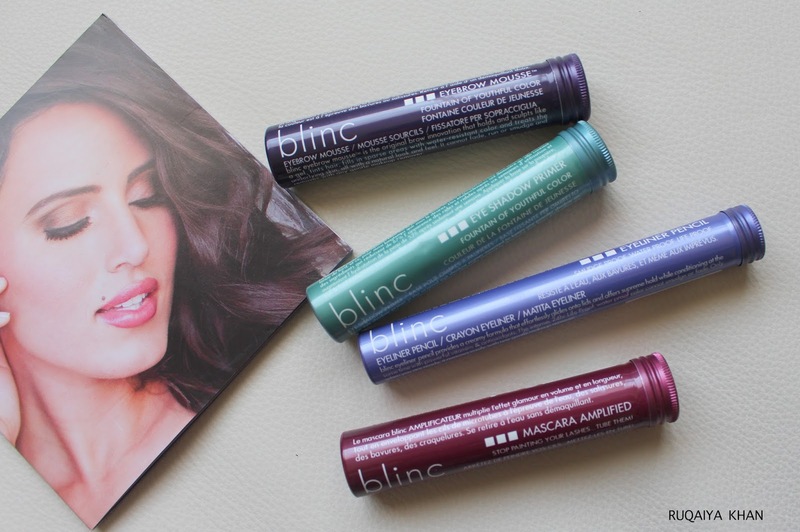 Here I have swatched all four products in the blinc Box Discovery Collection. All of these products are high performers. Then using the spray bottle, I mist the swatches with water. All four products stay solid and unaffected by the spray. This means that it can resist sweat, tears, humidity, light rain or any situation where tiny water drops hit the products. Then I turned the nozzle to the 'stream' setting and sprayed the swatches. 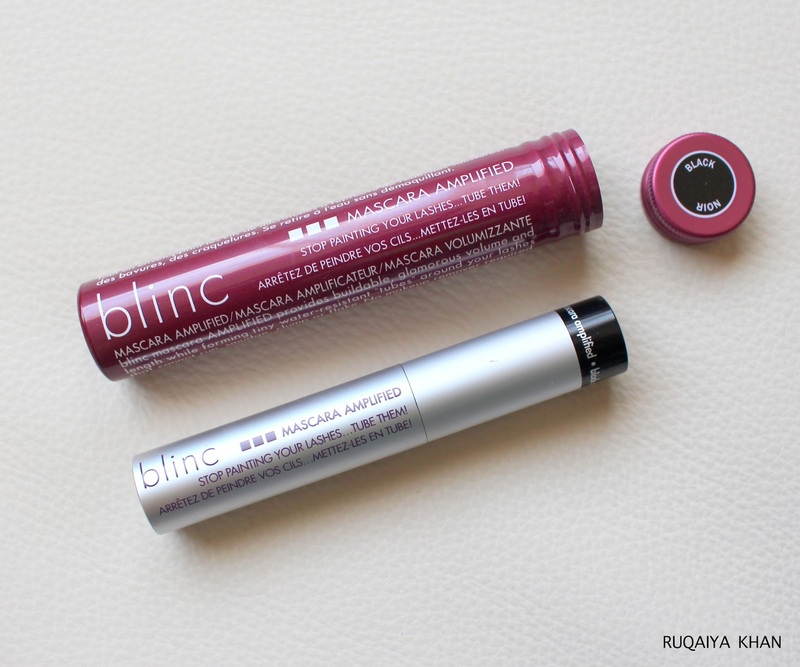 Guess what, the mascara starts losing the bond with skin and comes off easily. It's only water! This means that when water is jetted on the mascara it will remove, like in the shower. 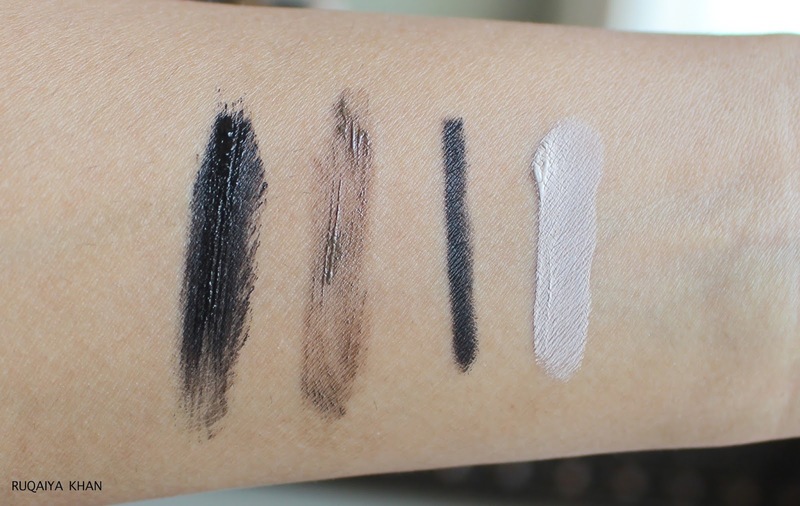 Then I use the stream of water on the other swatches, i.e., of eyebrow mousse, eyeliner and the eye primer. As you can see they don't budge at all. Everything stays in place showing that only a makeup remover (or even face wash) will remove them. Not just water. That's what real waterproof makeup should be like. They should perform but also be easy to remove.